Imagine if the Royal Library of Alexandria had not been destroyed in flames. 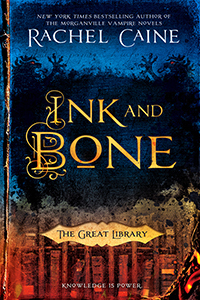 My latest review is now up at Skiffy & Fanty on Ink and Bone, the first book in Rachel Caine’s new series: The Great Library. Read the review here! Disclaimer: I received a free copy of this from the publisher as part of the Ace Roc Stars Street Team in exchange for an honest review.